Infrastructure is important. Normally that statement would seem mundane, but Japan’s near-simultaneous earthquake, tsunami, and nuclear crisis has provided a graphic reminder about the centrality of infrastructure in our lives — and the extent of our dependence upon it. Infrastructure can be the sewer pipes beneath our streets, bridges that span difficult terrain, turbines that generate electricity, or the vehicles that move things efficiently from here to there. 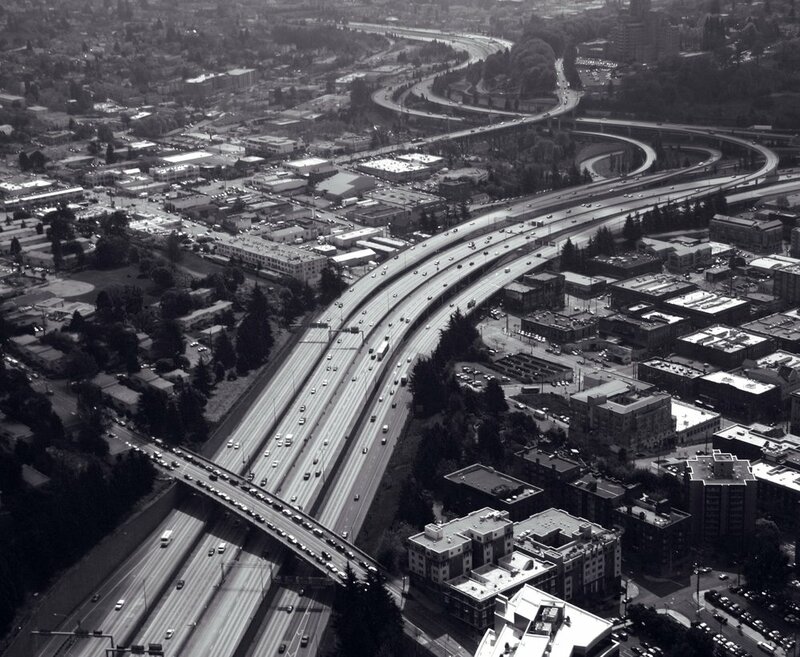 Almost by definition, infrastructure is the framework of modern life we rely upon each day. It’s so ubiquitous to us that it usually seems invisible — until the moment when you need it most and it’s not there. 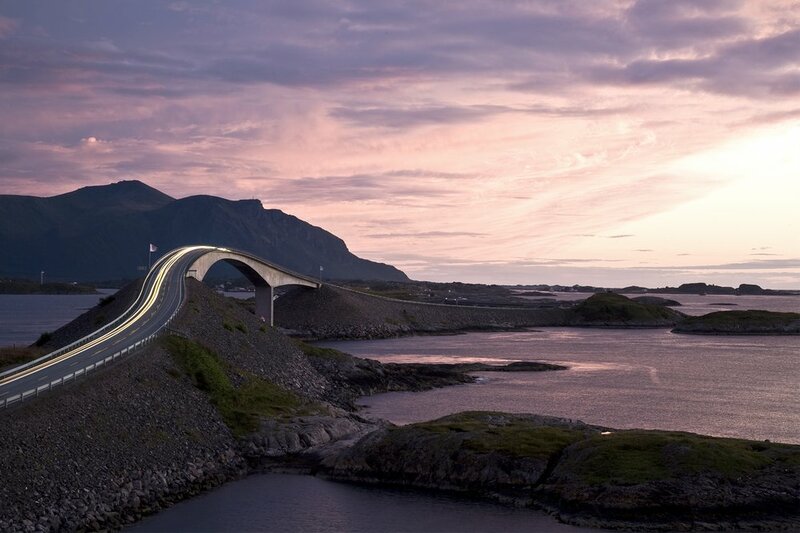 That’s when infrastructure becomes the most beautiful thing in the world. Formally, infrastructure is the physical and organizational structure that enables society to operate. It allows economies to function, and services and facilities to run smoothly. 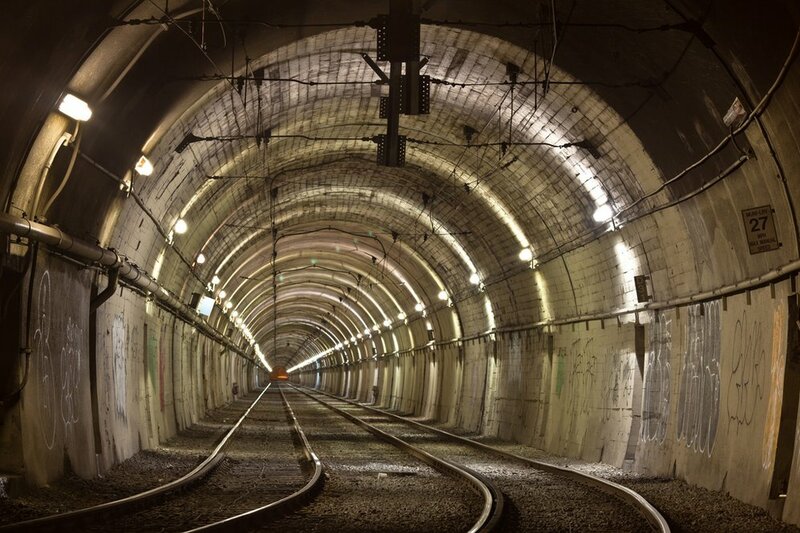 Personally, infrastructure allows us the illusion that we can insulate ourselves from the forces of nature. Look, appreciate, and enjoy, but please don’t take any of these structures for granted. 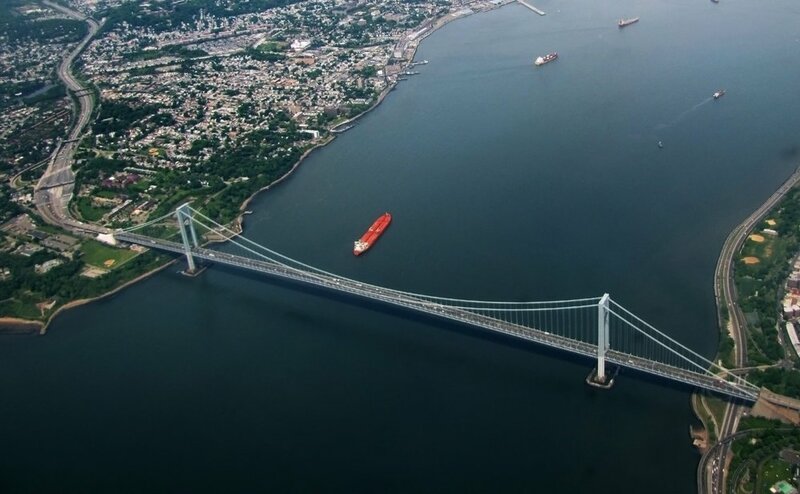 With a center span of 4260 feet, this was the longest suspension bridge in the world at the time of its completion, and it’s still the longest bridge span in the Americas. Yet it looked so small when I saw it from a plane preparing to land at La Guardia Airport. However grand structures we may create, they are still dwarfed by Planet Earth. A graduate student who grew up in the busting metropolis of Mumbai, traveled halfway across the globe and across cultures to the US to get a masters degree in electrical engineering. However, what has remained constant is his love for nature, travel, and photography. 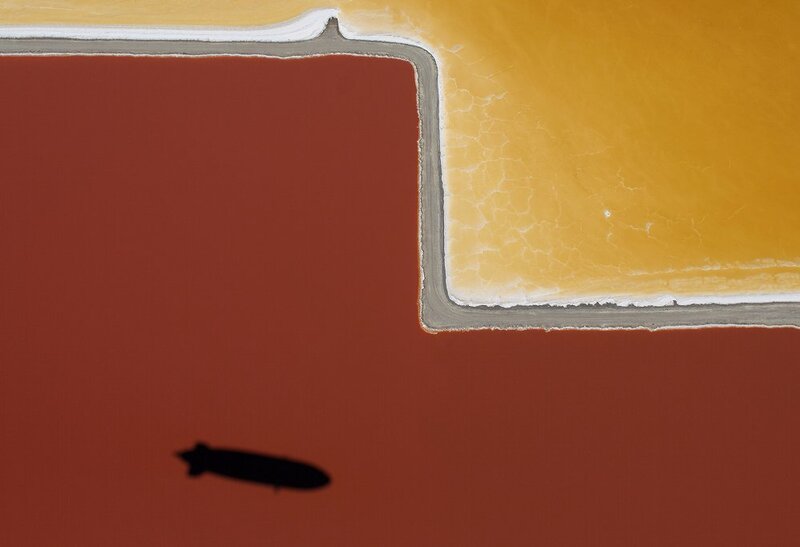 Viewed from “Eureka,” the largest airship in the world, the vibrantly-colored Cargill Salt Flats of Redwood City, California present a Mondrian-esque scene. 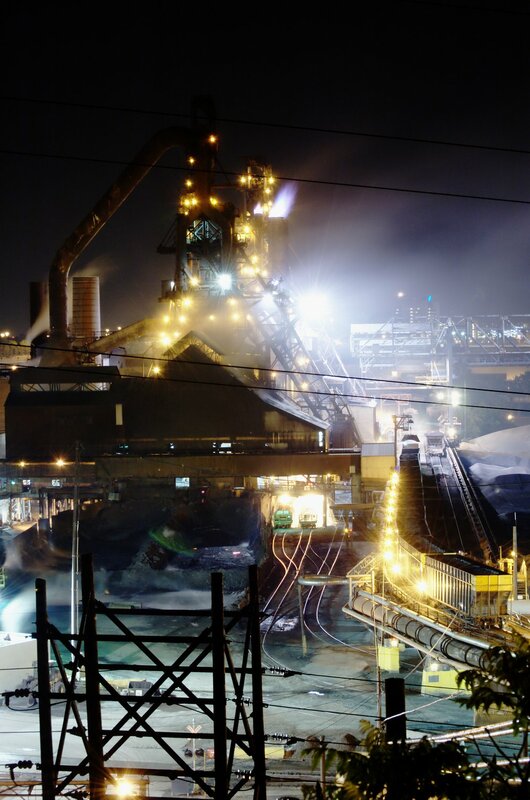 After over a century of salt production, Cargill Salt announced plans in 2006 to decommission the flats. Now, five years later, environmentalists want the 1433-acre plot to be restored as bay wetlands, while Cargill hopes to develop housing for 30,000 residents. I live in the SF Bay Area, and my passion is to document the individuals and interactions around me. 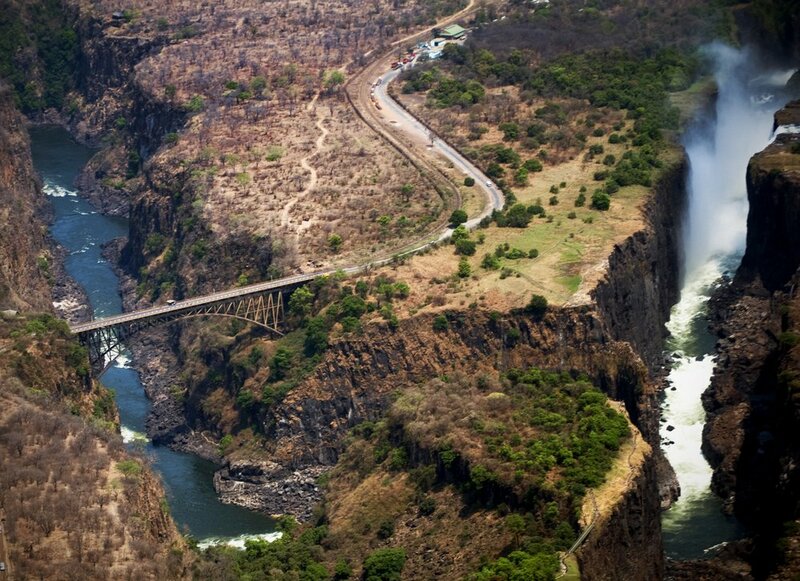 Truly No Man’s Land, Victoria Falls Bridge spans the Zambezi River, connecting Zambia and Zimbabwe. The bridge is also one of the world’s most spectacular bungee jumping destinations. My name is Harriet Andronikides, I have a background in architecture but am an avid photographer with a passion for travel. On a windy spring day, the clouds delineated the bridge with light. Built in 2004, the viaduct is a key element of the freeway that cuts across a previously isolated countryside — though it now forms a spine for new local development. I’m a cartographer at the Toulouse University, southwest of France. Photography is my favorite hobby — I like how images can express emotions, often unintentionaly or unconsciously. Shot from the observation deck at Columbia Center in Seattle, Washington, the organic curves of the interstate bisect the relentless grid of the city to amplify the surrounding landscape. Aesthete, mid-century modernist, photographer, esoteric Chicagoan, confluent questionary. Integrated Platform Specialist at Y&R, Chicago. Alex West is a Linux technician, design artist and photographer, recently transplanted from the Cleveland area to southern Mississippi. A good friend and I managed to fashion our cameras to some train tracks. Once we determined that the train would not destroy our cameras, we each took turns to get this shot right. 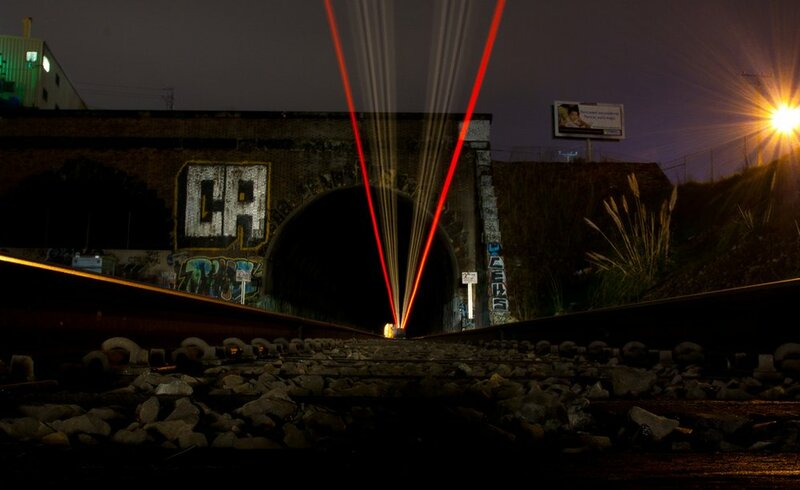 It’s hard to keep a camera steady with a long exposure when a 100 ton train is travelling at 50mph on top of it. I work in user support for Twitter. I live in San Francisco having moved here from Portland close to three years ago. I started taking pictures as a hobby a little over a year ago. I was out shooting the San Francisco’s N-Judah line streetcar late one night, and it started POURING. I decided to make my way into the tunnel to fire off a shot. I’m a San Francisco photographer and I live in Bernal Heights. This is a rather risky view along the length of the rail bridge over New Zealand’s Wanganui River. 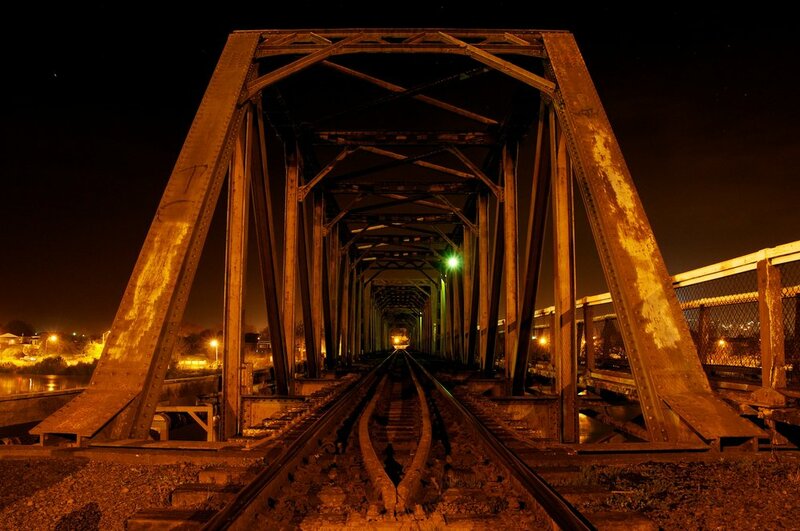 Taken at about 9 pm, I had to be careful of trains coming and going, as the bridge is alongside the Wanganui rail yards. Local boys caught crossing rail bridges have laid down between the tracks to let the train pass over them, but I wasn’t about to try that. I specialize in wedding and portrait photography, and also enjoy covering events. I live in Wanganui, New Zealand. 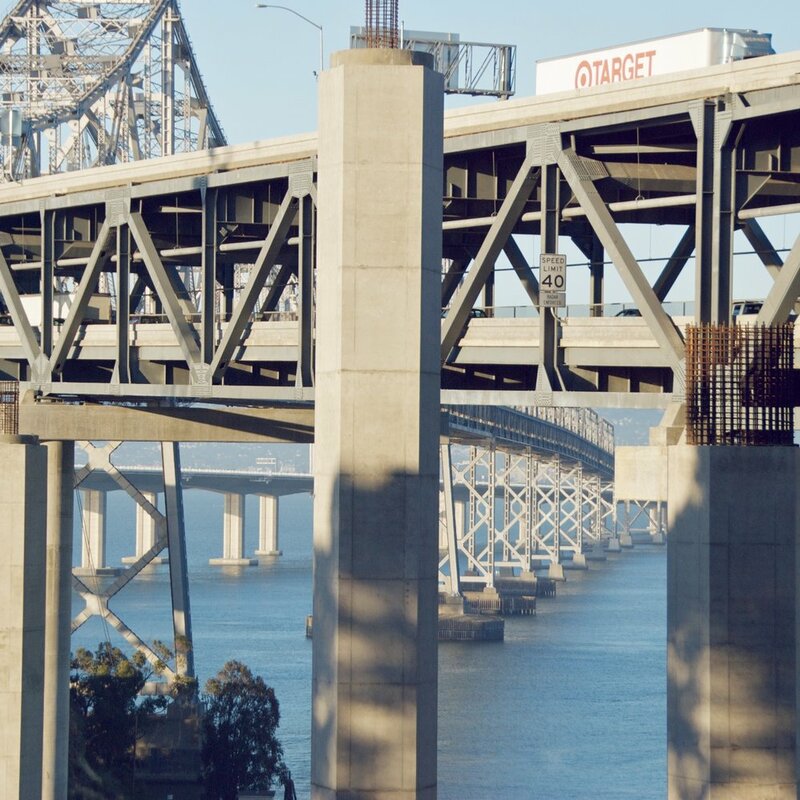 The old, seismically unsound Bay Bridge awaits its retirement as its successor is built alongside it. I live and work in San Francisco as a programmer and designer, mostly for web projects. One late afternoon, I admired a postcard of a favorite building of mine, New York’s Beaux-Arts style Grand Central Station. I started to wonder, where is San Francisco’s Grand Central Station? 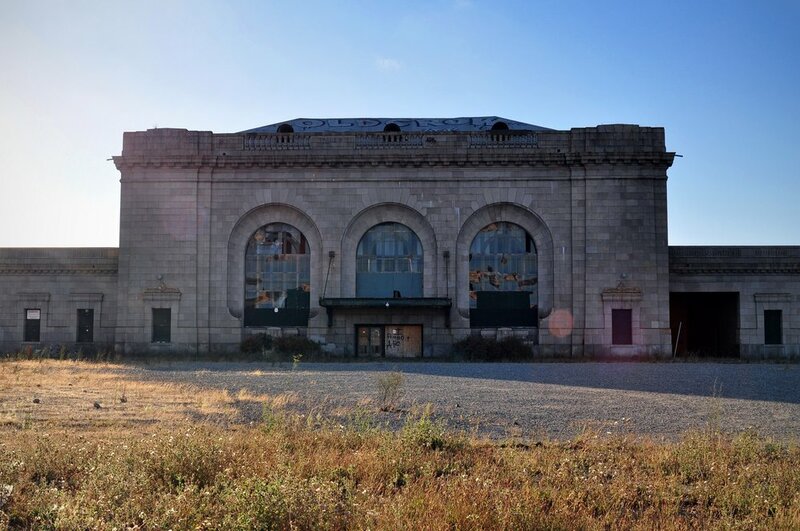 There isn’t one today, but I did a bit of research and found the former 16th Street Station in a now-neglected corner of Oakland. Damaged by the 1989 Loma Prieta earthquake, it now stands alone, quietly crumbling. I am a writer in Berkeley, California. 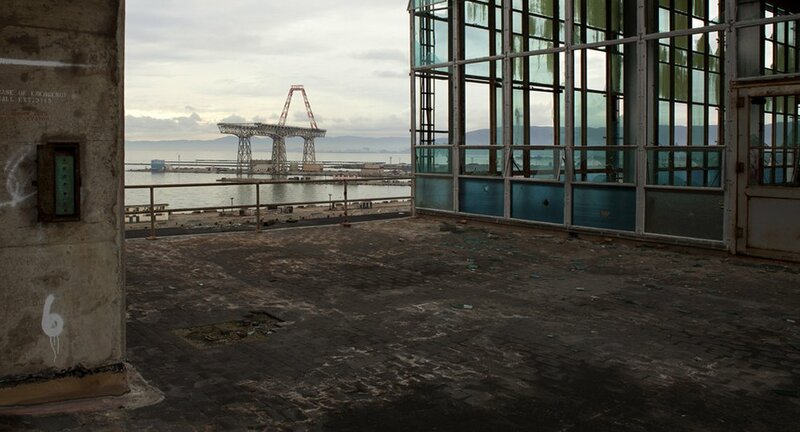 This is the view from the top floor of a building in a decommissioned naval base. The base is now a toxic wasteland; a relic from an era of reckless nuclear experimentation. Nic Lyons is a Canadian artist and photographer. 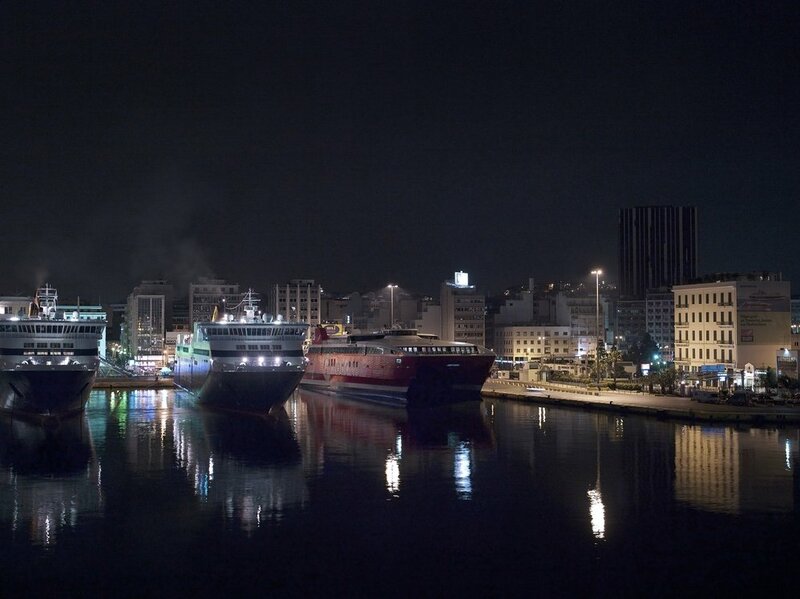 Her main focus is industrial landscape and architectural photography. Currently based in San Francisco, Nic Lyons has lived and produced work in Canada, the United Kingdom and the United States. Not far from Vienna, there is a nuclear power plant that never went into operation. Shortly after finishing construction, a vote determined Austria should never use nuclear power. Yet the government had this plant, so it was used to educate nuclear engineers from all over the world. 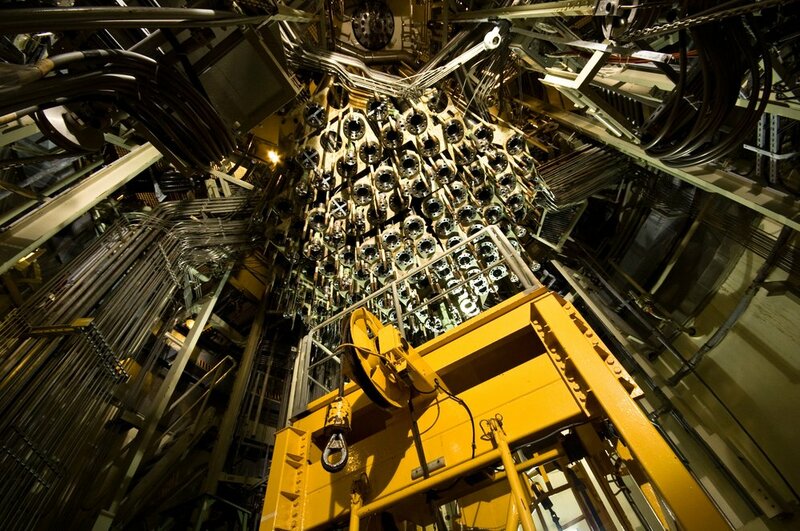 This would have been the hottest place: nuclear fuel rods were stored in these iron containers. Living in Vienna and working at the University, doing photography for about 10 years. Globalization means boxes. A lot of them. 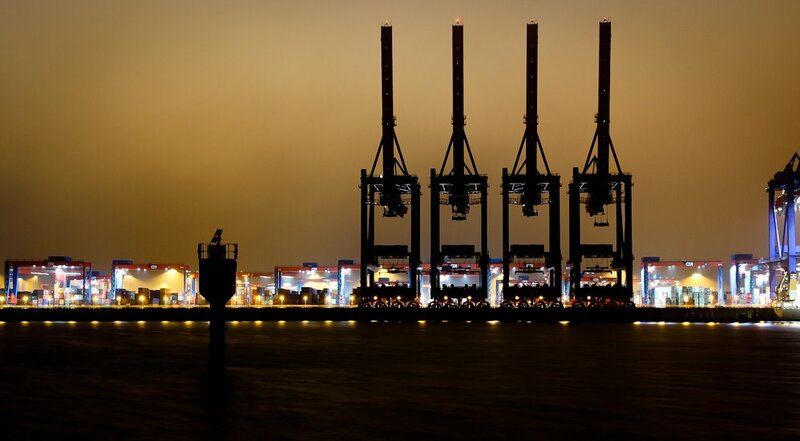 The interaction between the massive cranes that move thousands of containers around with playful ease, and the huge container ships which stow them is perfectly orchestrated. I can’t help but stand in quiet admiration, watching this somewhat eerie performance, listening to the clanking of metal and seeing how clothes, furniture, gadgets are hauled around night and day, every day. I moved to Hamburg this fall for work. Besides the mediocre weather, the lack of hills that I grew up with and the friends that I left behind at home, I pretty much like it. 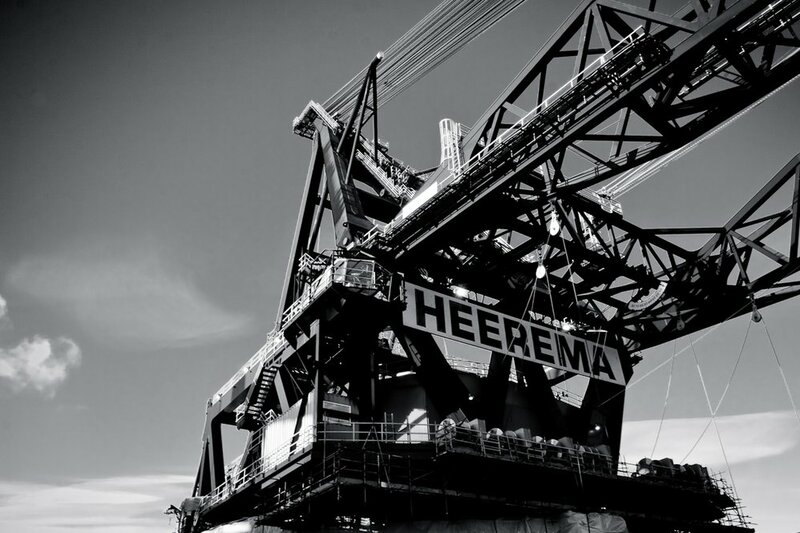 The Thialf is the largest deepwater construction vessel in the world, with dual cranes that provide depth capability and heavy lift capacity. This crane is tailored for use installing foundations, moorings, pipelines, and flowlines. I am an online marketer and amateur photographer located in Amersfoort, The Netherlands. Pireaus is the port city contiguous to Athens. Ferry boats come and go 24/7, primarily to islands in the Aegean Sea. The ferries are the lifeblood for hundreds of islands — some tiny, and others as large as Crete. Photographer and winemaker, San Francisco. This bridge has a special place in my heart. We drove this stretch of road multiple times, because the feeling of driving towards the sky (thanks to the bridge’s steep ascent) was just amazing. My name is Florian Franke and I’m studying visual communication at the University of Applied Science in Mainz, Germany. I live in Frankfurt and will (hopefully) graduate next summer. I’m also a web-design freelancer and photography is a hobby of mine. 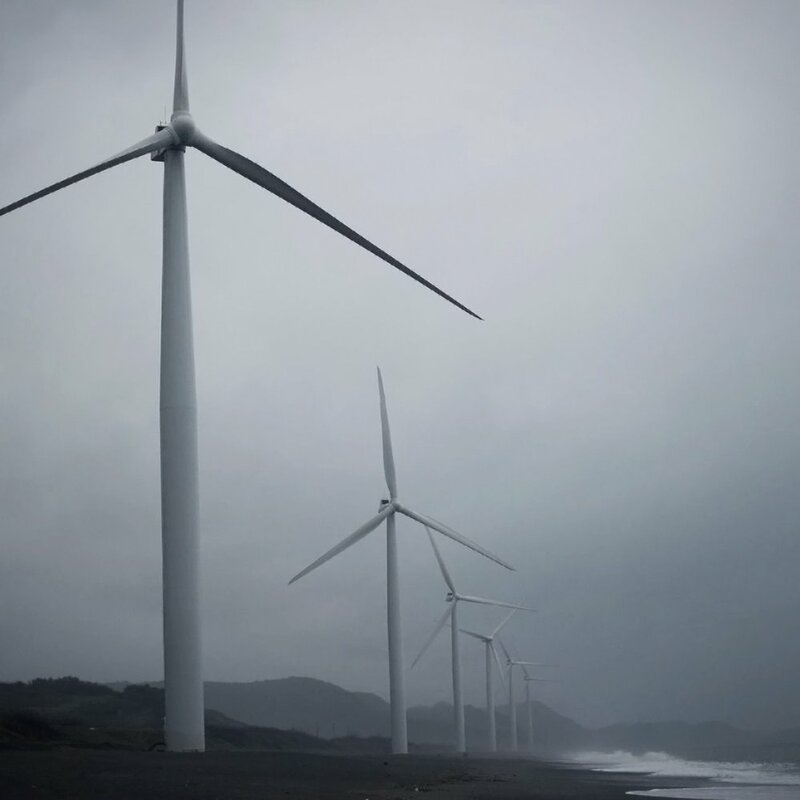 The first wind-farm in the Philippines, Bangui Windmills provides renewable energy that helps reduce greenhouse gasses. It was drizzling with overcast dark clouds when I visited, but the windmills were majestic. I live in the beautiful country, the Philippines. I worked on the creative side of advertising agencies for more than ten years and have been working as a freelance graphic designer for four years. Photography has always been an interest since college. Most viewers see only what lies above this building; a reflection pool that mirrors the beautiful neo-classical Nelson-Atkins Museum in Kansas City. 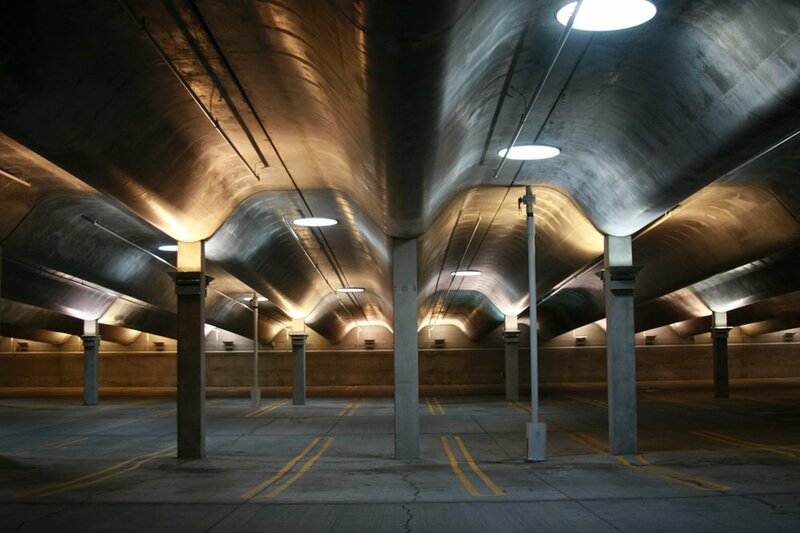 But this structure lies below the fountain, because it’s a parking garage. Jennifer Wetzel is a native Missourian who is currently wandering around Germany with a camera. 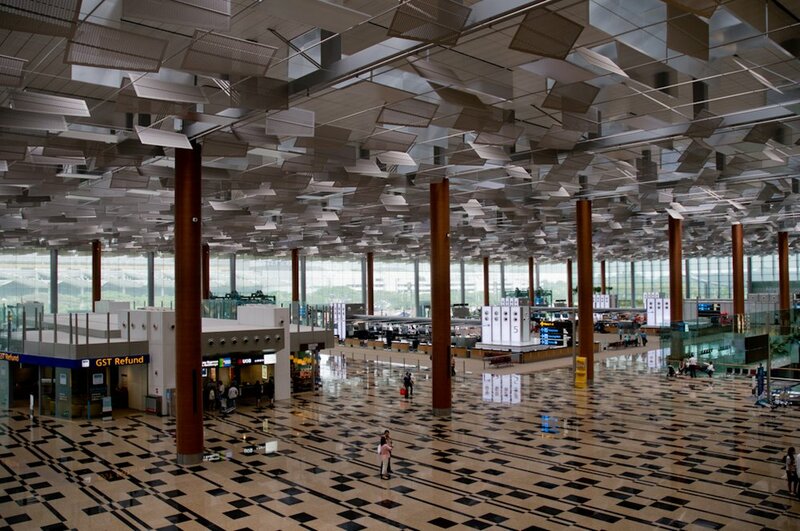 Terminal 3 at Changi International Airport in Singapore opened in January of 2008. It was designed to provide an open and light-filled escape from the hustle and bustle of most airports. I’m a photographer living in San Francisco and always looking for the perfect image. 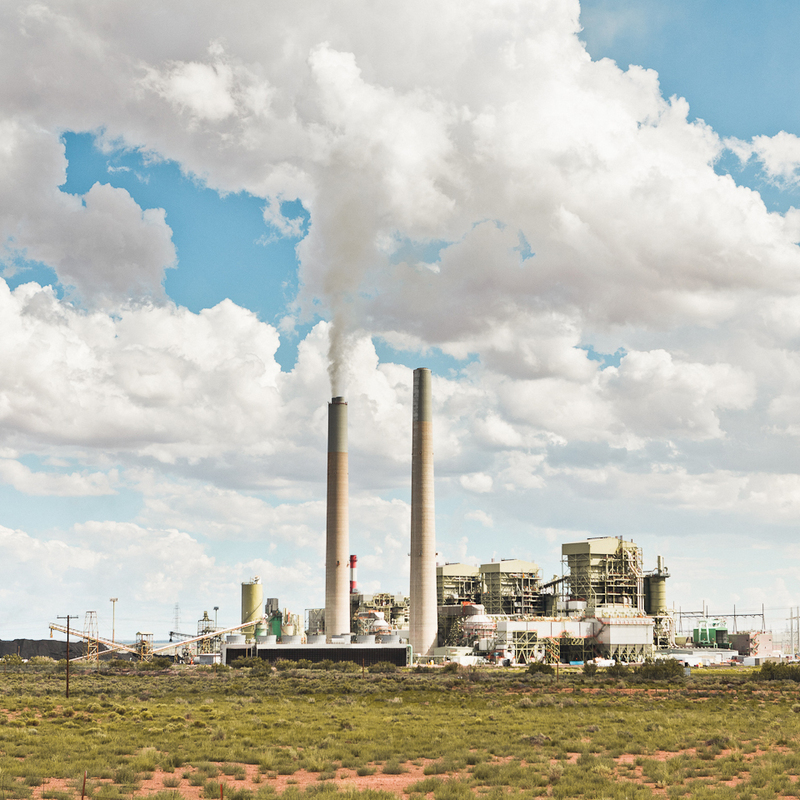 This was somewhere in New Mexico, and I loved how the smoke from the factory fed into the sky to blend with the clouds. For me this was a great reminder of what we are doing to the environment. I am a graduate photo student from Los Angeles living in New York. 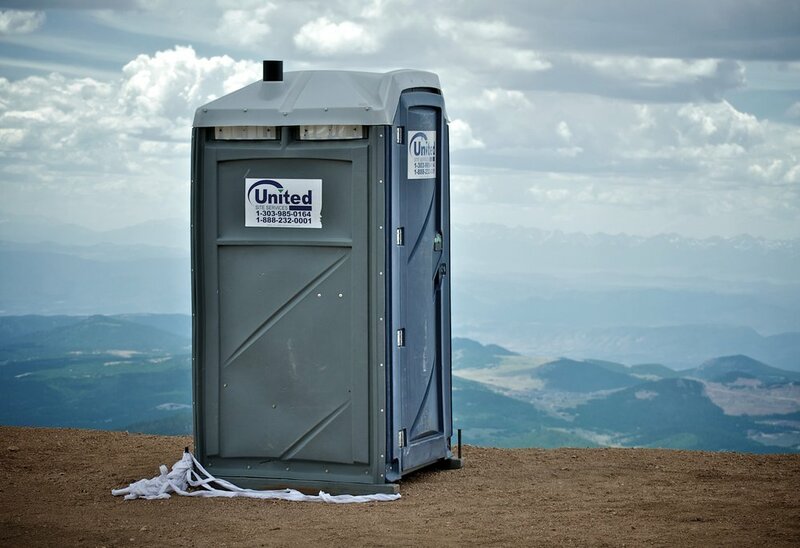 The lowly port-a-potty is a temporary, mobile admission that we all have to answer nature’s calls. Once in a while you might find one standing alone, with its own unassuming majesty, in the last place you’d look, like I did here — almost at the top of Colorado’s Pike’s Peak. Living in Denver, Colorado after a long roundabout journey to get here. I’m a poet, a self-taught photographer, a teacher, and above all else, a passionate thinker and lover. I will always fall head over heels and hope for you to stay just a little while longer.